With the aging population ever growing, healthcare for persons suffering from stroke and related illnesses is increasingly important. 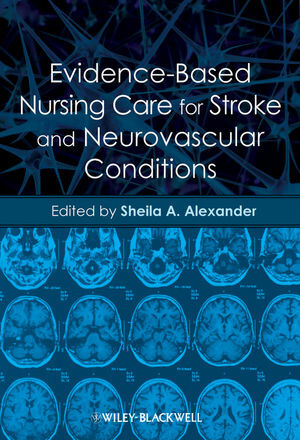 Evidence-Based Nursing Care for Stroke and Neurovascular Conditions provides a comprehensive and practical guide for novice, experienced and advanced practice nurses working with patients suffering from stroke and other neurovascular conditions. With a focus specifically on neurovascular disorders, this highly detailed text offers easy-to-find information on evidence-based care guidelines. The book begins with a thorough introduction to normal cerebrovascular anatomy and physiology and common pathologic mechanisms, describing the unique challenges in working with this patient group. Later chapters provide the pathophysiology, diagnostic and current nursing interventions for the care of patients with neurovascular disorders including transient ischemic attacks, ischemic stroke, hemorrhagic stroke, Moyamoya, Migraines and more. Evidence-Based Nursing Care for Stroke and Neurovascular Conditions is a must-have resource for practitioners caring for patients enduring stroke and other neurovascular conditions. Sheila A. Alexander, RN, PhD is Assistant Professor, Acute and Tertiary Care, at the University Of Pittsburgh School Of Nursing.